Summertime, from July to September, is the time for one of the most fun and unique fishing experiences in Crystal River and Homosassa-Scalloping. 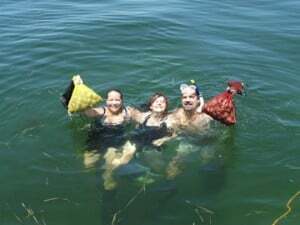 The scallop beds at Crystal River are some of the best in Florida, and the fun of getting in the crystal clear water and catching scallops as they jet across the sea bed is one of the best ways to spend a day in Crystal River. 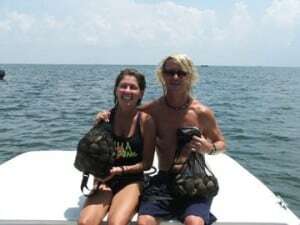 A great family activity, scalloping is something anyone can do-and the rewards are awesome. 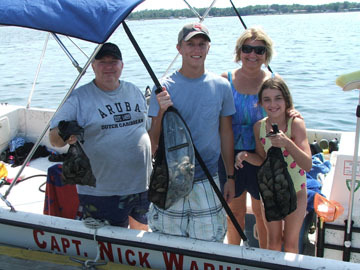 Sweet, succulent scallops fresh from the water are a treat that tastes even better when you’ve caught them yourself! 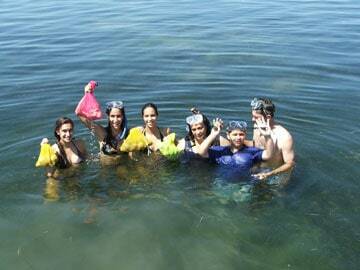 So grab your friends and family and join Captain Nick for a fun and adventurous day of scalloping. Sit back and enjoy the ride with Captain Nick, he will take you to where the scallops are. 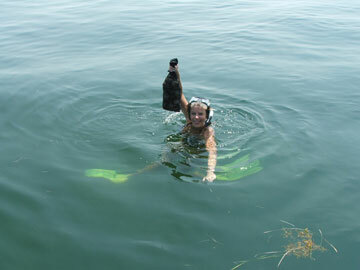 While going to the Scallop grounds you will get to enjoy the abundance of wildlife and Natural beauty of the wildlife that live here. 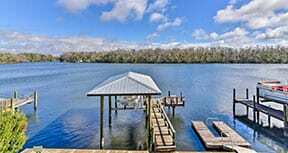 • Starting time 7 A.M.
All licenses are included of course.